This listing is for the main photo only. The other photos are for ideas only. 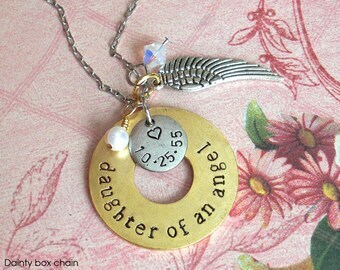 Please follow their links below to purchase the other design if desired. ONE word is included on the washer. Space may be limited, your text may be covered up by the mini disc. You can request the mini disc to float separately on the chain. 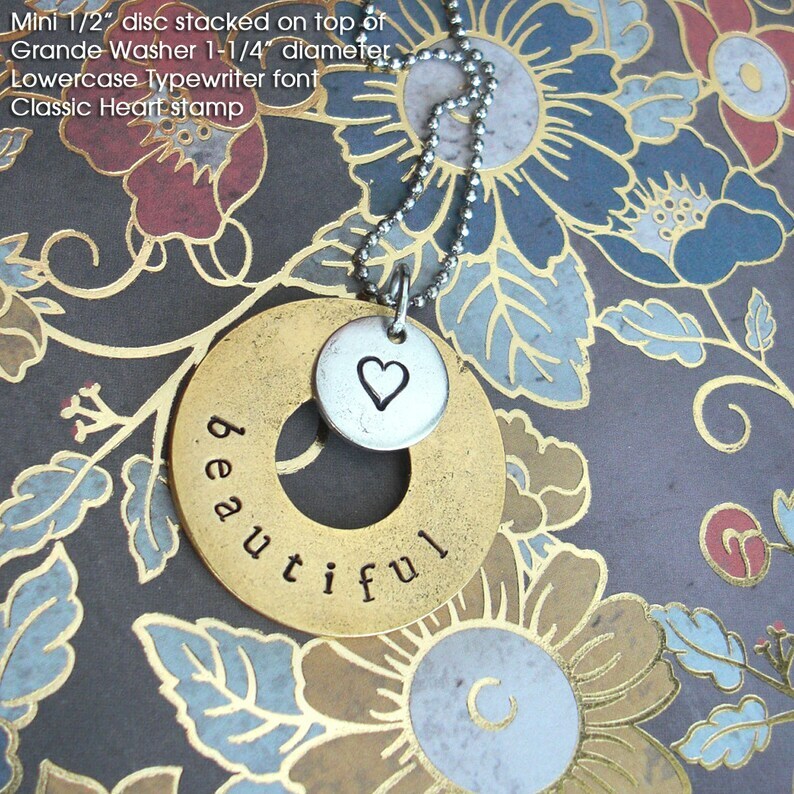 FONT PICTURED: "beautiful" is stamped with Lowercase Typewriter font. A Classic Heart is on the mini disc. 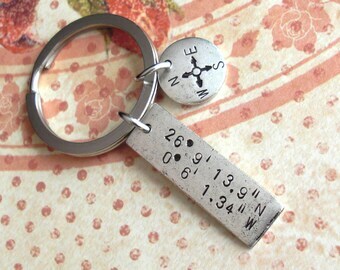 You are welcome to fully customize each charm and its stamping. Be sure to include very detailed notes during checkout. 1.) Grande Washer - what color? Silver, copper or gold plate? 2.) Grande Washer - what font size? 3.) Grande Washer - What do you want stamped? Be specific. 4.) Mini Disc - what color? Silver, copper or gold plate? 5.) Mini Disc - what symbol and what font size? 6.) Mini Disc - What do you want stamped? Be specific. 7.) Dainty Bead-ball chain. What length? Be specific or length may vary. Any length up to 24". If you choose to upgrade to a Dainty Link chain, add that to your order as well. 8.) If you are adding a pearl or crystal to your order, add it to your cart and specify in your checkout notes. 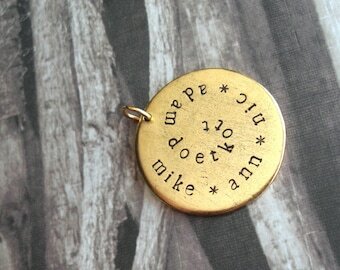 ♥ ♥ ♥ All charms are hand-stamped by me, and will vary in alignment and patina. They are all unique! These are plated metals and should be kept out of water to help preserve their finish.